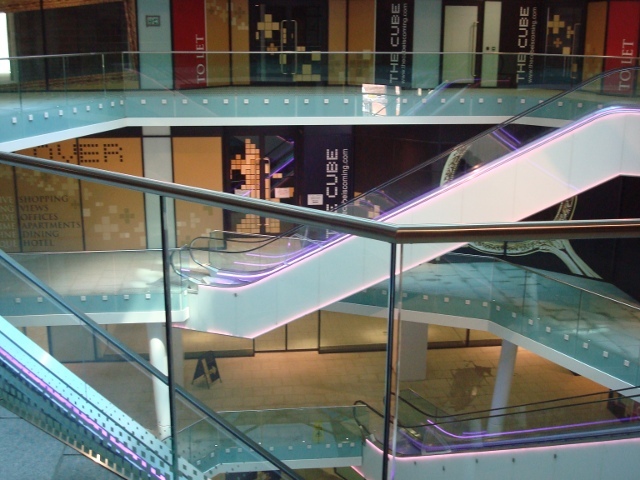 Toughened glass is manufactured by heating annealed glass to approximately 620 degrees Celsius and then cooled rapidly in a controlled environment. The result is a tempered panel which if broken will fragment in small relatively harmless pieces. Heat soaking is a process that complies with BS EN 14179. In this process the glass is heated and maintained at a high temperature then slowly cooled in a heat soak oven which encourages the conversion of the Nickel Sulphide inclusion to its more stable form, thus resulting in fewer spontaneous breakages on site. 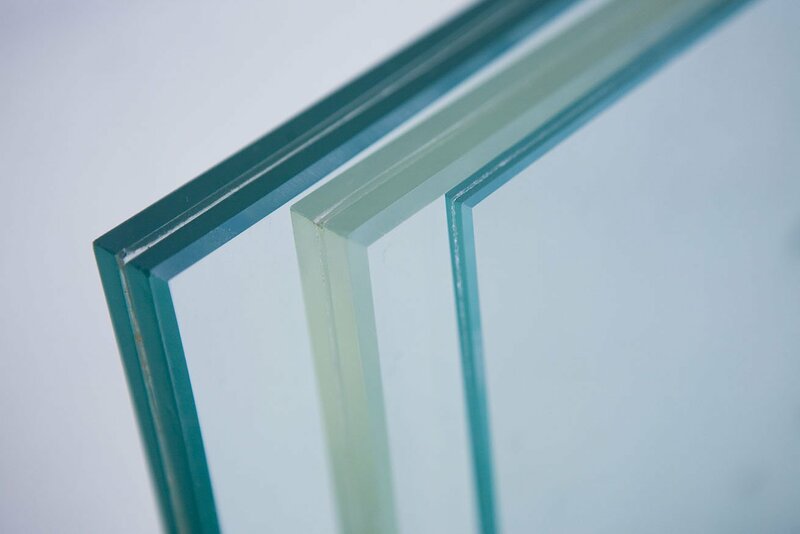 Toughened laminated glass is available in 8.6mm – 39.5mm. Triple laminate is also available. Screen print / sandblast can also be used in conjunction with laminated glass to achieve virtually any desired finish such as dot matrix or logo designs. 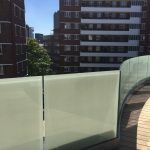 If a laminated panel is broken, only one side will ‘shatter’, however it will remain in place as it is stuck to the other panel – therefore leaving a guard in place. 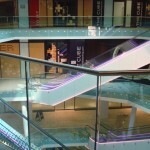 Screen printed glass is available in many different colours (RAL number) in an etch or block out finish. 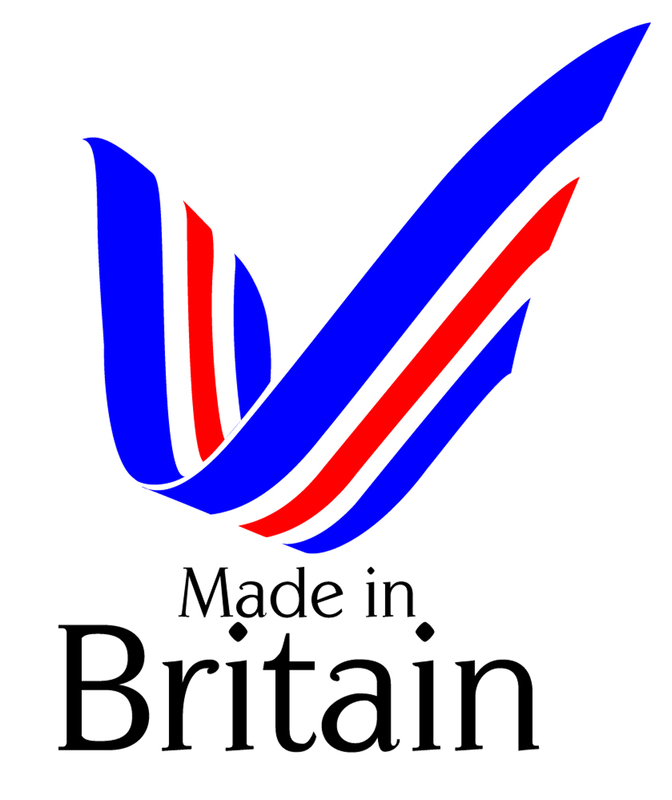 Designs are also available such as logos or dot matrix finish. 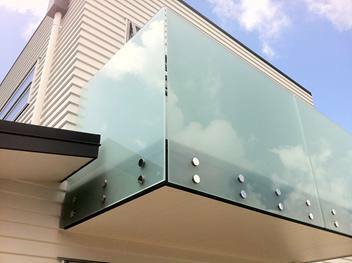 The benefit of screen printed laminated glass means that the print is stuck between two panels so it should not wear away or get scratched/damaged. Sand blasted or frosted glass is available as an all over finish or can be used in a design. 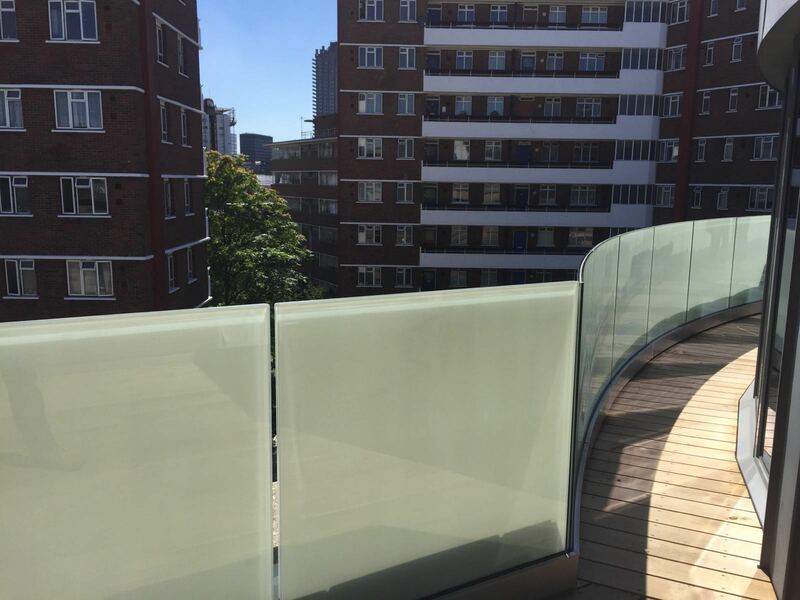 Obscuring a glass panel(s) can sometimes be a condition of building regulations when the balcony maybe overlooking neighbouring properties. 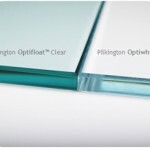 Low iron glass or Opti-white has a minimal green cast which means it is ultra clear and provides a higher level of transparency than normal clear glass. It is achieved by removing most of the iron oxide content used to produce glass. 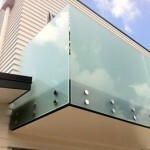 This does result in an increased cost over normal clear or float glass. ClearShield™ coating is available to help prevent grease marks and fingerprints etc. It stays cleaner for longer and resists staining and discolouration. 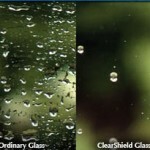 ClearShield™ is a polymeric resin and, when applied to ordinary glass, it cross-links to form a strong chemical bond. 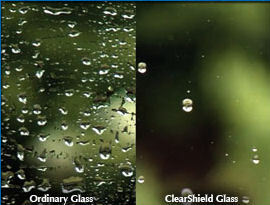 ClearShield™ is completely transparent, chemically inert, non-hazardous and UV stable. 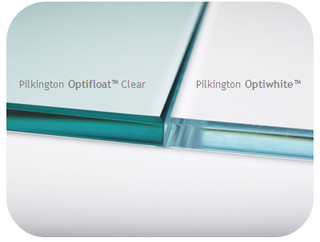 Unlike a coating, ClearShield™ becomes part of the glass so will not peel, flake or crack. 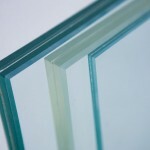 To calculate the weight of a glass panel, a general rule of thumb is multiply by 2.5. The above is provided for information purposes only and you should always consult a professional.